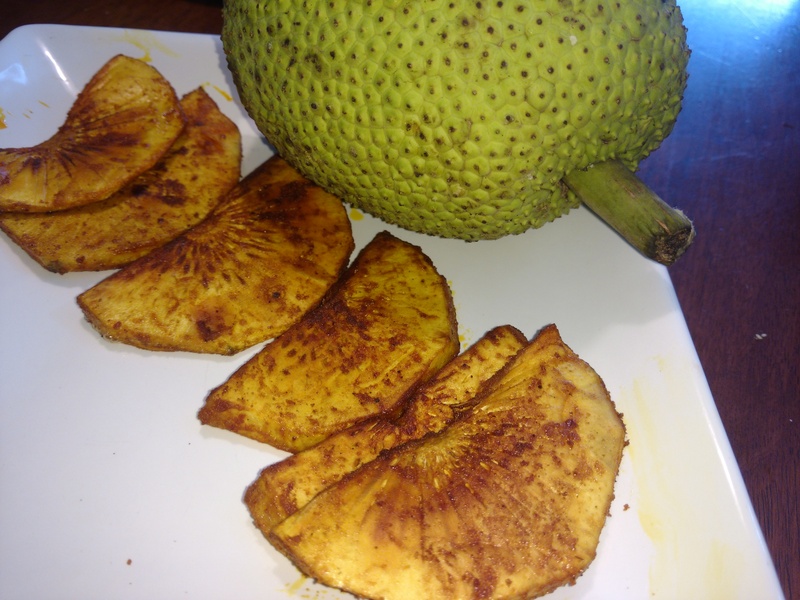 Breadfruit is not available in Chennai. When they are imported from Mangalore,they are made in different varieties. 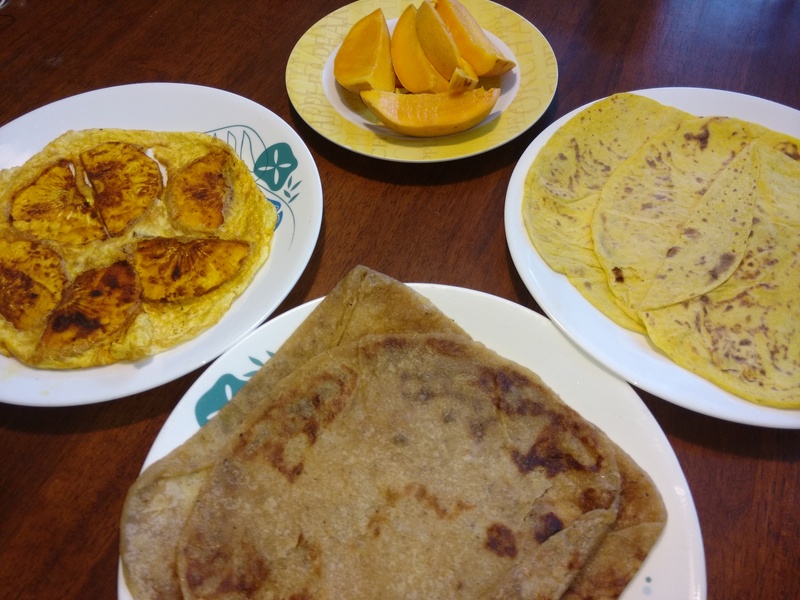 All mangalorean food adornes my breakfast table. Clean the breadfruit. Apply Turmeric powder, chilli powder and salt to the breadfruit slice. Shallow fry. 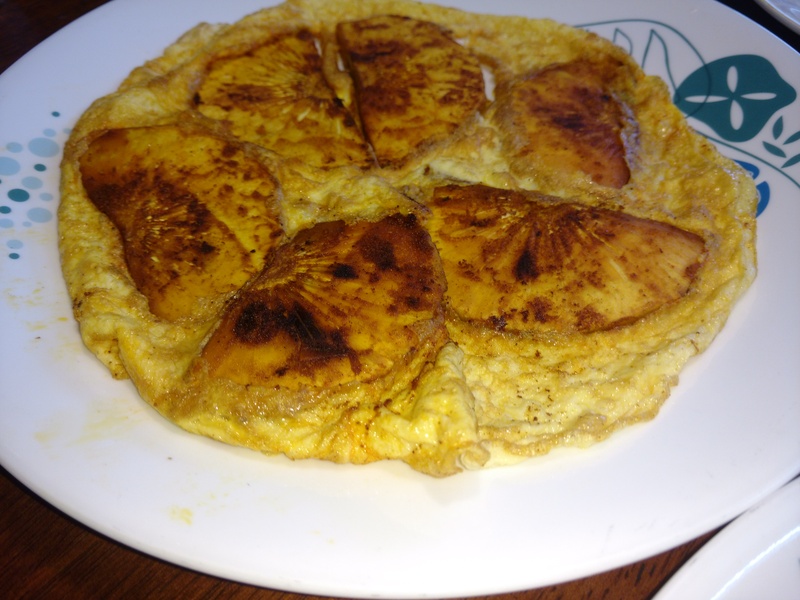 Cover the fried breadfruit with beaten egg. Just like my Spanish Omlette recipe.